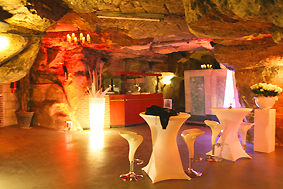 Cultour Eventmanagement was founded in 1996 and has quickly established itself as one of the leading DMCs in the Rhineland. From the very beginning we focussed on high quality group travel, incentives, conferences, events and cruise programmes.A few years later the company was transformed into a limited liability company and the success story continued. One of our main strengths is, that we specialize on the perfect selection of locations for the wished events. On the basis of our author activity for different famous publishing houses, among them also the Polyglott-Langenscheidt-Verlag, we have an outstanding archive of more than 800 checked locations for all kinds of events.In 2017 we have written another book about Cologne in English. Events really work. The fascination of the events immediately affects the target group. We create a space in which to experience the event with all one's emotions and senses - this is how companies, brands and products achieve greater loyalty and differentiation under tough competition. With its understanding of the needs and requirements of the market, Cultour Eventmanagement will always provide a tailor-made event that fits like a glove. And, at the same time, we provide professional ideas, development, planning and realization from a single source. Successful live communication events require not just perfect, effective realization but also two other key ingredients: a strategically sound base and a creative, intelligently conceived theme. Cultour Eventmanagement provides both - with its team of consultants who have spent years gathering knowledge of industry and agency work and an excellent Creative Department. This guarantees well thought-out ideas and efficient realization, taking into account all the requirements of state-of-the-art corporate and brand communication. The result is creative marketing events, incentives and promotion which are all ideally interlinked with other communication measures. In keeping with the brand image. Unmistakable and sustainable Relationship Management. Resulting in hard-hitting sales promotion with high recognition value. As a member of several Incoming-Groups, we are able to offer you a wide range of national and international hotels for your reservation. Are you searching for a suitable hotel for conferences, meetings or family parties? You will be happy to find the appropriate hotel to your event, for we have immediate access to roundabout 400 hotels, national as much as international. It will be for your benefit to rely on our experience and to consider our convenient special rates, which we are proud to have acquired throughout the years when booking these hotels. A classical part of our agency's work is the arrangement and organisation of company celebrations and classical eventmarketing. Here, we care about the whole package: The first concept, the invitation cards, the selection of appropriate locations, the bookings of hotel rooms for the guests, the organisation of the catering, and of course the professional supervision and the perfect realisation of your event! 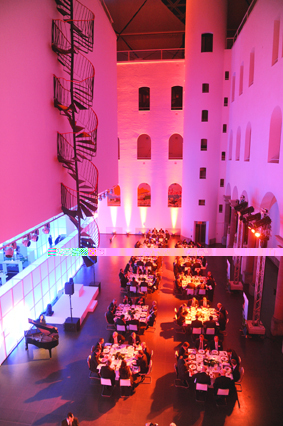 For example this picture shows you how Cultour Eventmanagement realized an attractive event in Düsseldorf 2011 for more than 230 participants. 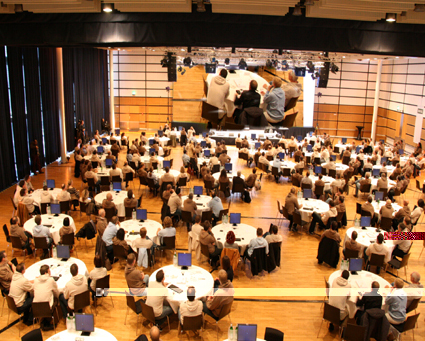 This location with its conference rooms, an auditorium as well as a detailed presentation in the form of a permanent exhibition offers customers, suppliers and staff the opportunity to hold conferences, symposia, seminars and receptions in an appropriate setting and in a pleasant atmosphere. 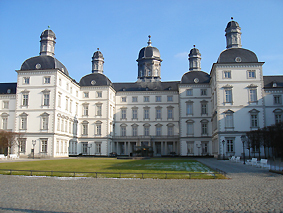 One of our specialties are our individual guided tours, which are offered for Düsseldorf, Zons, Cologne, Bonn and many more cities in Nordrhein-Westfalen and Rheinland-Pfalz. Due to our close network with many other agencies that offer guided tours, we are further capable of covering all parts of Germany since 2001. Very important for us is the appealing presentation of the given information, so that our customers are not bored but interested. This means, that we don't try to cram as many dry year dates as possible into your head but that we attempt to transfer the knowledge via historical maps, pictures and documents, as well as through exciting anecdotes and stories. 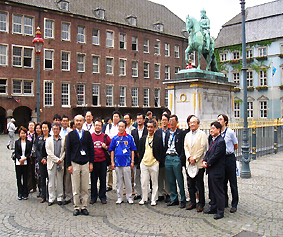 If you look for a guided tour for your company, it is understood that we conform to your wishes. Furthermore, it has to be checked individually whether you need a bus or a ship transfer for the tour. One of our clients wrote in 2018: "My son and I want to thank you for being such a great tour guide. We very much enjoyed the tour in Dusseldorf and wish we could have stayed much longer." It is a rallye (on foot) through the historical center of the chosen city and you will learn the history, stories and curios while you walk through it. You could say, that it's "learning by doing"! For that, the participants will be splitted into several groups and have to fulfill different tasks in the center of the city on the basis of purpose-formulated questionnaires. Especially for conventions, this "game" is very helpful, because the members get to know each other more closly. Some of the big companies, which realised these rallyes with us are: Ericsson, General Electric, Henkel, BAYER, SAP, etc. However, these rallyes are also suitable for leisure time travellers, other corporate events, teambuilding or just to have fun! 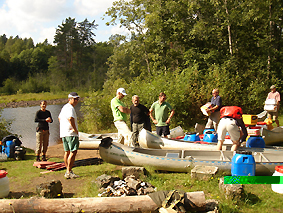 Afterwards, there is normally a dinner in a brewery or in another cosy restaurant. There, the arward ceremony takes placeand the teams will get their winner certificates. If this catched your interest, just contact us via mail or phone, so that we can offer you an individual quote. By the way: At Christmas time, we offer special Christmas rallyes on the atmospheric markets in Germany. This would be something different, wouldn't it? 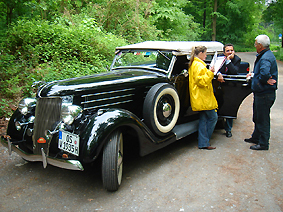 One of the tasks of Cultour Event Management is the complete organization of a car rally with real classic cars. The routes are located throughout Germany and other European countries. This also includes the development of an individual route with roadbooks for the participants and the entire logistics, such as hotel accommodation and attractive break stations. The route is followed several times in advance in order to find the most optimal route. 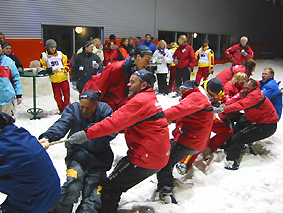 At some stations the guests had to complete special driving tests and tasks to improve their score. Of course, the physical well-being is not neglected either. Throughout the entire rally, which was expressly not driven "on time", a service car and a replacement vehicle were always in use. One of the key aspects of a successful event is the perfect choice of the location. One of the main strengths of CulTour is the extensive knowledge about around 260 approved and tested locations within Germany and the adjoining European countries. Due to our work as author for big travel publishing houses, we can offer our customers a large variety of locations, which can't be found in every catalogue. Moreover, many TV and film production companies engage us regularly as locationscouts to find the right setting for their work. If you still don't find the right location under our examples, please contact us, so that we can consider your wishes and hopefully compose the perfect offer for you! Since 1997 we concern ourselves with this thesis of the personal management in our events. New targets, new structures or new business segments have to be communicated clearly to the staff. Together with our professional trainer we can achieve this objective effectively and fast. If you plan your next event - just contact us and we will be pleased to give you appropriate offering, which will be adjusted to the special conditions of your company. Since 1999 we further offer high quality incentiv tours. Therefore, we cooperate with german and European DMC´s, who are familiar with the particular destinations and who possess attractive supporting programmes. Incoming VIP service, individual sightseeing trips and guided tours, design of full-day programmes for tourists, social activities programmes for conferences etc., events, chauffeur-driven limousines, coach service, hotel and restaurant. For our clients, we coordinate tourism offers with the wishes of guests and provide information on sightseeing and tourism services.